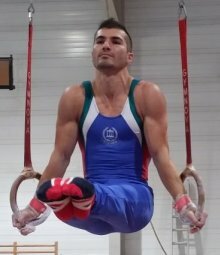 I am currently working at the Elite Gymnastics Academy CIC in London, where I teach children and adolescents at all levels, and in both genders. If you are interested in group classes, please visit the official website of the Elite GA in London. However, if you are interested in personal training, please click here. As a qualified gymnastics coach, with more than 10 years experience with pre-school and school children, I would like to introduce some of our greatest events in my coaching career with the following video presentation. I started working at the Elite Gymnastics Academy CIC in London at beginning of January 2013. Take a look at my biggest achievements at the Academy so far. I was coaching gymnastics for a period of 5 years at one of the biggest Bulgarian gymnastics clubs - GC Levski Spartak 08 - Sofia. My gymnasts and I participated in many sports events and gymnastics competitions all over the country. Here are some of the best moments for the last 10 years in coaching gymnastics in Bulgaria and the United Kingdom presented in this Photo Gallery.